Helios is the exclusive, authorised engineering company in Australia and New Zealand to supply XP POWER products. 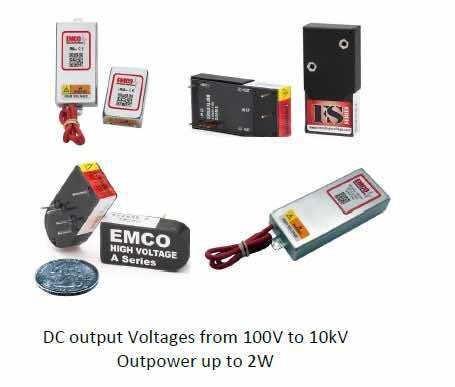 For over four decades EMCO High Voltage, led the industry in designing and manufacturing high voltage power supplies for original equipment manufactures, research laboratories and educational institutions worldwide. The complete product range is now available from HELIOS POWER SOLUTIONS. This now offers our customers a new broad array of proportional and regulated High Voltage Power Supplies. Low-noise high-voltage DC/DC converters for medical imaging applications and a micro-power high voltage power supplies for mobile, battery powered detectors are some of the new products that Helios has to meet your specific projects needs.